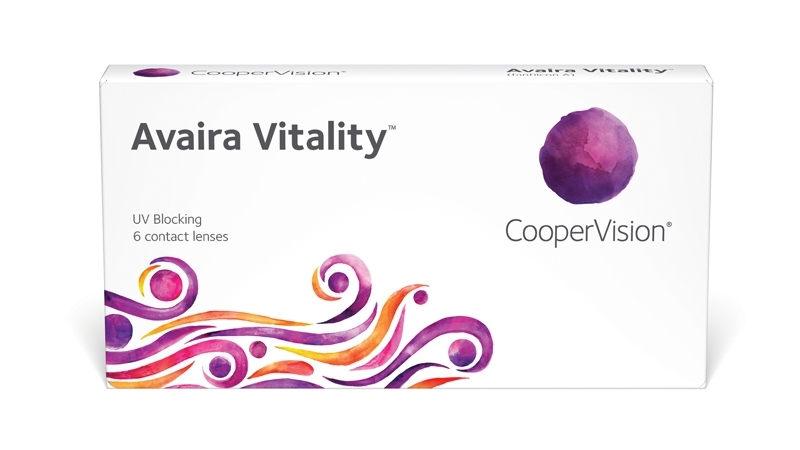 Avaira® Vitality; Now you can enjoy the healthiest contact lens material at an affordable price. CooperVision Avaira Vitality™ contacts provide all the benefits of silicone hydrogel, with enhanced water content. Higher water content means natural wettability, so you're less likely to need additional wetting drops. As an added benefit, they also help block harmful UV rays thanks to Class 1 UV protection..
replacement schedule:1 month (daily wear); up to 14-24 hours.